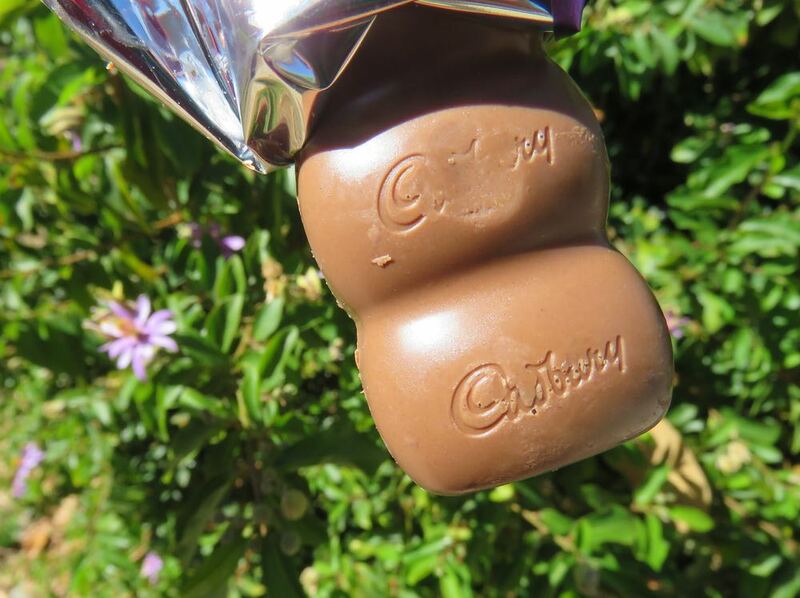 Happy October to you all, and welcome to Day #1 of Chocolate and Cadbury Theme Week. The Cadbury chocolate brand is owned by a large corporation (Mondelez International, fomerly Kraft). However, it was founded in the 1800s by members of the Cadbury family, who made some substantial contributions to chocolate. I've chosen to feature Cadbury items this week because of their history* as well as their market reach. The Cadbury Dairy Milk product line has been a chocolate bar staple for many years in many countries. 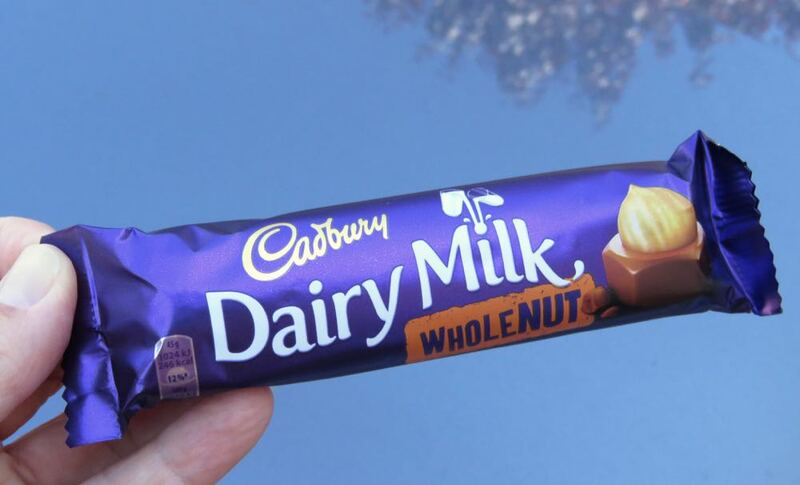 Today I sampled the Cadbury Milk Whole Nut bar, a sweet, segmented milk chocolate bar studded with whole hazelnuts. It also had a long list of ingredients (including emulsifiers, chemicals and flavors) that made me a little uncomfortable, even if they weren't identifiable when tasting this chocolate. I doubt most of these were around in the 1800s or even when some of the original candy/chocolate bar formulas were created. Things do evolve over 100+ years. Companies in the 19th century were using cereal fillers and other substances in their chocolate (some less palatable than those listed in today's bar); but the early Cadbury founders often felt that their recipes for their chocolate were purer than others. In Chocolate Wars, the author chronicles the origins of the chocolate industry in the 1800s, particularly in England, at a time when the race was on to find formulas for dark and milk chocolate, and Cadbury company practices were swayed by both by Quaker traditions and corporate imperatives. The discussions about wanting to create better labor conditions for workers and farmers echo conversations still going on today.